Roman Fedortsov is a deep sea fisherman in Russia. And he’s been taking photos of OH MY GOD WHAT IS THAT? Experienced fishermen such images may not surprise, but for the average user of the Internet appearance of other marine reptiles will be a revelation. 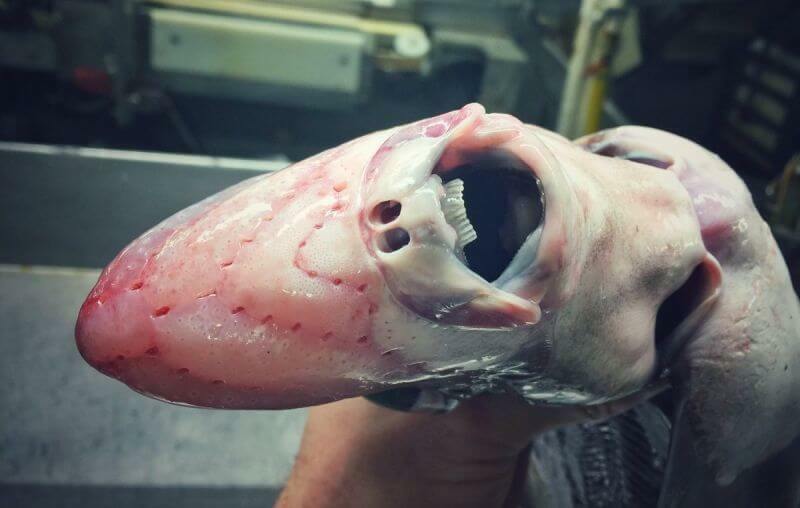 Fedortsov shows how the look of the Barents Sea sharks, deep-dwellers with underdeveloped or impaired huge sunfish, caught off the coast of Morocco. The English-language site Moscow Times posted a handful of the photos, but I’ve found even more on Fedortsov’s Twitter. The fisherman is reportedly based in Murmansk, which is a real place in Russia, and not another planet where Hell has opened up and set demons free to roam the land and the seas.